Lake Mary Fl. is a dynamic city which offers a well-managed growth, lots of green areas, trees, parks, walking areas, outstanding schools, a new downtown area with a variety of stores and restaurants and bars and a beautiful park setting and Saturday farmers market. 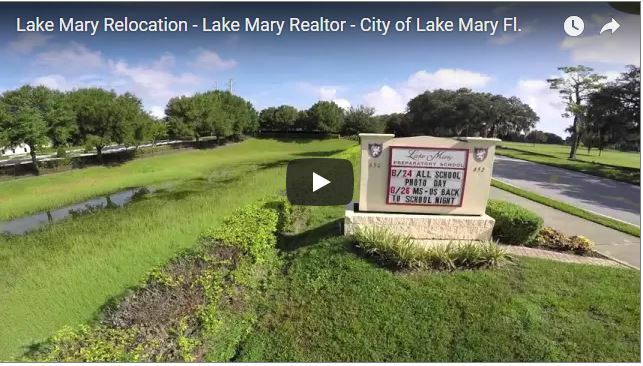 A huge variety of housing, from apartments, condos, townhomes, single-family homes, gated and none gated developments, golf communities, homes located on skiable lakes. Also, the new Lake Mary midtown a mixed-use development, Griffin Park with early occupancy starting in the first quarter of 2018 offers shops, restaurants, grocery store, green space and homes developed by David Weekley Homes, offering townhomes, Patio homes, zero lot line homes, and Villas. There is also a direct commuter train connection from Lake Mary to Orlando connecting to Kissimmee.